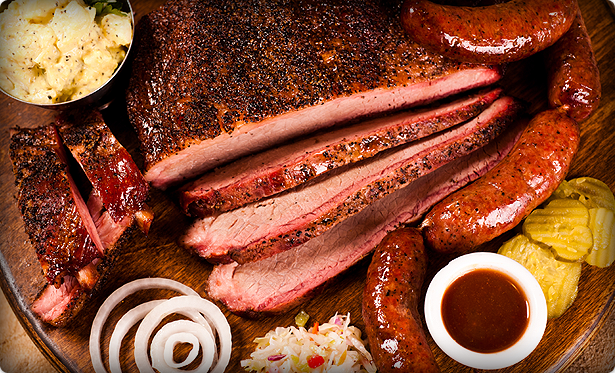 Take Out BBQ – Voted Best BBQ in Boerne 10 years in a row! 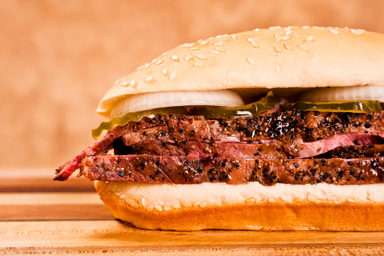 Voted “Best Barbecue in Boerne”, our little lunch counter serves up tender, juicy brisket, tangy chopped beef, oak-smoked turkey, lip-smackin’ ribs, and pulled pork sandwiches that will satisfy even the hardest to please BBQ connoisseur. If you want to know where the locals grab their grub, come on down Main Street until you get to Klein Smokehaus. Whether you need a poorboy sandwich to get you through the afternoon, or a few pounds of ‘cue to take to a hungry crew back home, Klein’s Smokehaus will gladly serve it up with a smile. With fresh, homemade sides like broccoli salad, cole slaw, potato salad and pinto beans, we’ve got everything you need for the perfect picnic or party! Want to order some BBQ? KleinsMenu has our new and updated pricing for the year of 2018! The hill country of central Texas gets it's color from the abundant live oak trees, and the hardwood harvested from these trees gives our smoked meats a depth of aroma and flavor that is uniquely Texan. Our cold smoked, air dried sausage is the perfect example of German tradition just like Opa used to make – the taste is pure Texas German! View Our Products. © 2019 Klein Smokehaus. All Rights Reserved. Website by Karen Barry Creative Development.